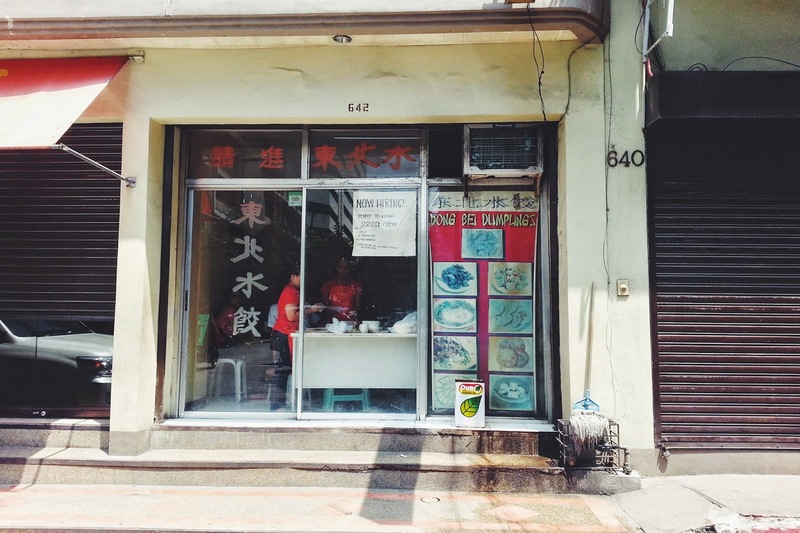 Binondo has been a favorite destination known for its rich history, the Chinese medicine, perhaps, the charms stores and delicious food among other things. I've been to this place in and out during college but (gasp!) never tried the local delicacies. To be honest, Chinese food has never been at the top of my list until recently. 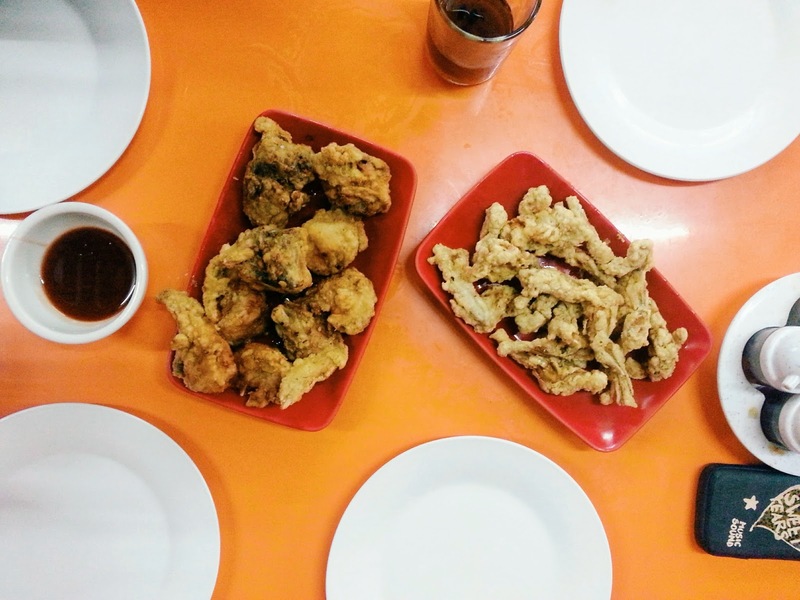 My mom loves Chinese food and we would frequent this Chinese restaurant in Cavite, and let me just say that some friends from work influenced me big time this year in this category. I then discovered that dumplings are really good (haha) and that prompted my love for some Cantonese favorites like hakaw and xiao long bao. 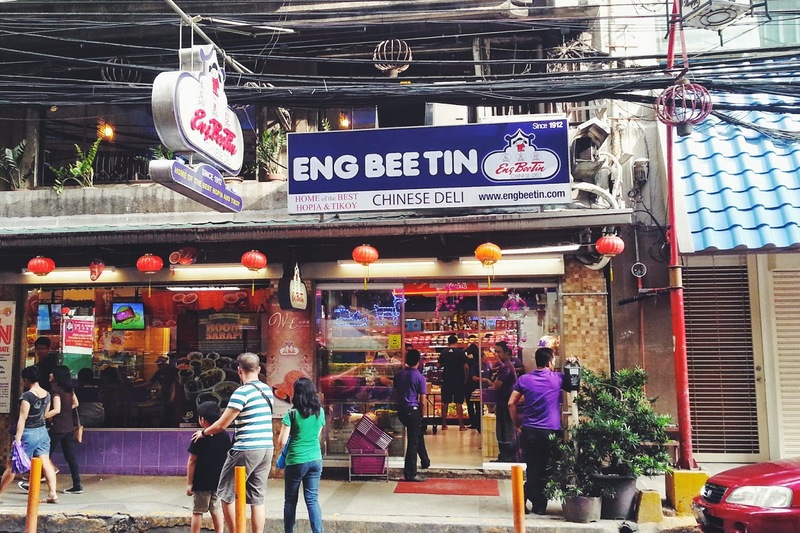 And Binondo certainly is the best proof that though some places may put the ambiance as second priority, it doesn't necessarily mean the quality of the food is compromised. 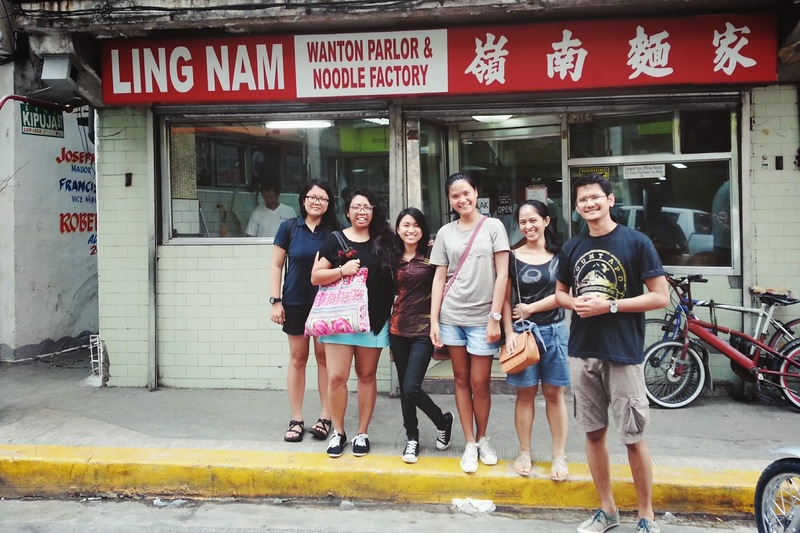 A few weekends ago, a handful of friends from work decided to do a Binondo food walk, and of course, we decided to tag along! Hahaha! Muffet, Burn and I were the first ones to arrive, and we were already a bit hungry, so we decided to try Dong Bei's dumplings first. If you're coming from Binondo Church, just walk straight until you reach Café Mezzanine then turn left on that intersection and walk until you reach V. Tytana Street. What will greet you upon entering are some of the ladies of Dong Bei Dumpling preparing the treats right at the front door. This basically occupies almost half of the entrance, I guess they're really showcasing and ensuring their patrons that everything served here is freshly made. Our table was a bit messy. Sorry. Haha. 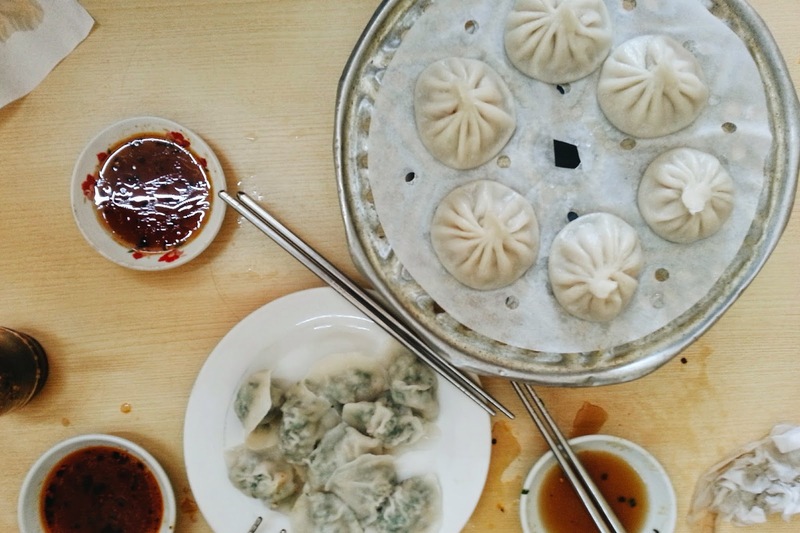 We had an order of their famous kutchay (pork and chives) dumplings and of course, xiao long bao (soup dumpling). My favorite xiao long bao are the ones served at Peace and Happiness along Gil Puyat Avenue in Makati. I was so addicted to it, I could finish an entire serving (a serving = 8 plump and delicious dumplings). Ever since then, I've been kind of looking for places that could top that. As for the xiao long bao, Peace and Happiness is still number one for me. I really love their meat broth! But Dong Bei's was still pretty good. The kutchay dumplings were a different story though. I found another favorite! These were really excellent and flavorful, the flavors even more enhanced when you dip it in soy vinegar with chili! They're really famous for this for a reason. They also sell frozen dumplings so you could enjoy them at home. The table next to us bought quite a few bags and the people there were kind enough to tell you instructions on how to properly cook the dumplings! Our next stop was supposed to be Wai Ying but the place was filled, there's even a waiting list so we decided to skip it. 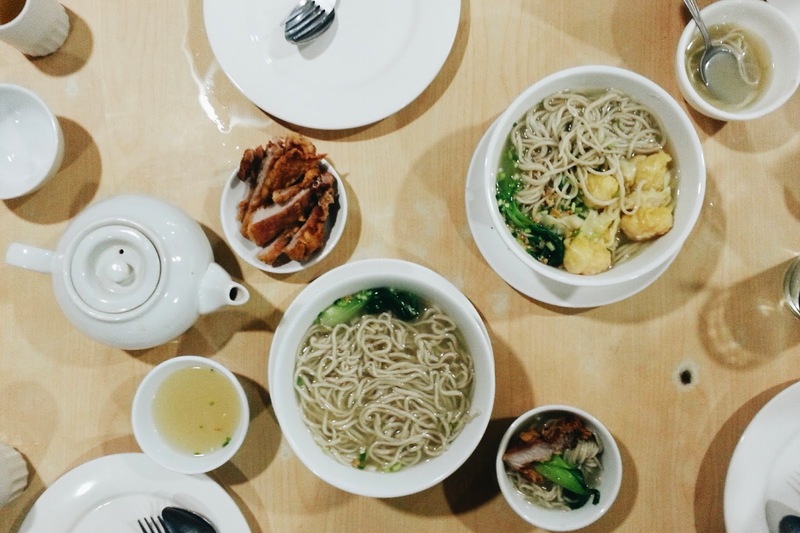 The next restaurant we went to was Wan Chai Tea House. To kick off, we started with the house hot tea. I think all Chinese restaurants serve complimentary hot tea for their guests. And if you ask them what are their best sellers, they'll answer you with, "Lahat." Hahaha. But since I've read online that their noodles are a must-try, it's what I suggested to my friends. I ordered Shrimp Wanton Noodles (because shrimp dumplings in noodles are just amazing) while Muffet and Burn had the Pork Chop Noodles. 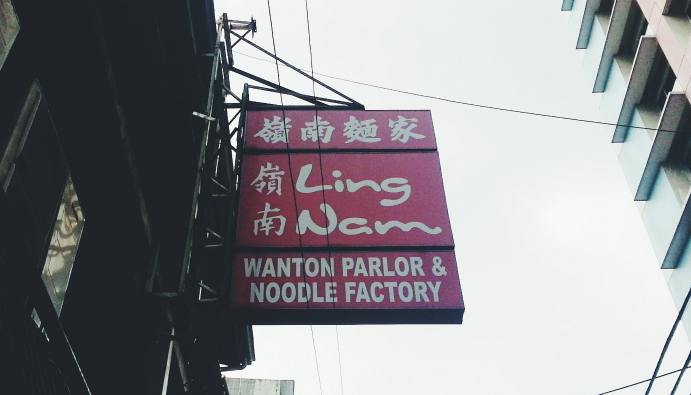 I loved the Shrimp Wanton Noodles. Light broth, a bit thick, chewy noodles, and of course, the highlight, the delectable shrimp dumplings on it. Same goes for the Pork Chop Noodles. The meat's actually served separately to prevent it from being soggy. Pork chop's so freaking great, I wanna eat it with tons of rice instead. Hahaha. 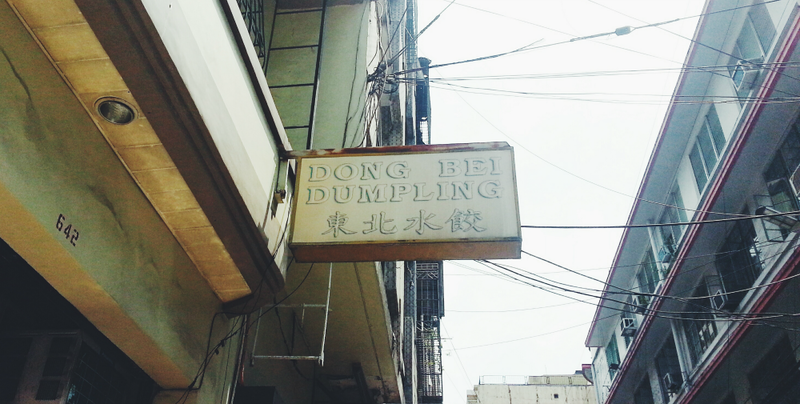 In Ling Nam, we decided to have their siopao and siomai. 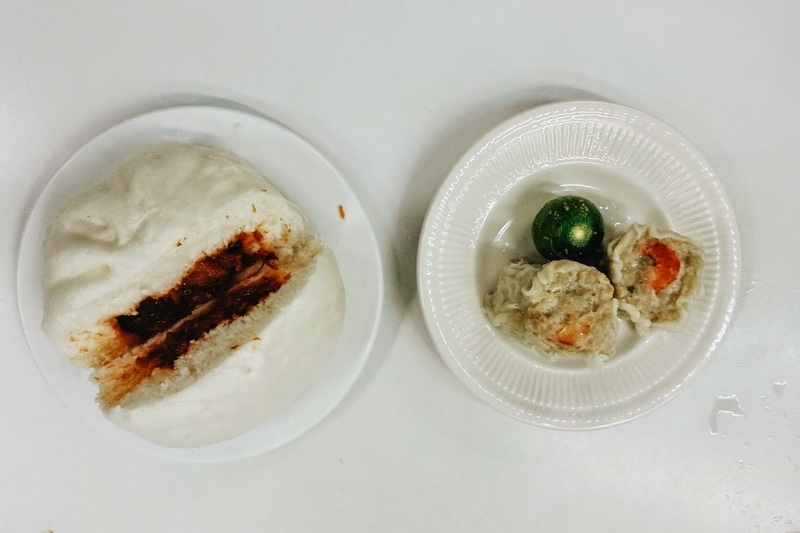 I don't really know why I never ate siopao (until this day because they asked me to try), I wish I could come up with a great reason but, I don't know, I just decided that it's not my type even though I haven't tasted it. 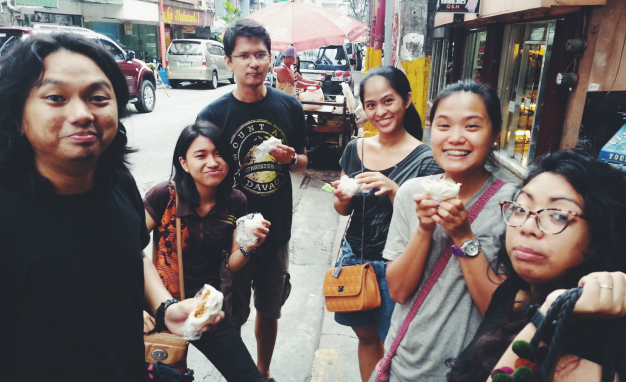 All of us found both the siopao and siomai to be just okay. The siomai reminded me of Kowloon's. Maybe we should come back here next time and try their noodles, perhaps? The only thing I loved about Ling Nam is that it's got a bit of Wong Kar Wai movie vibe (though WKW movies are set in HK LOL). I feel like I've stepped in the movies Chungking Express or In the Mood for Love. Hahaha. 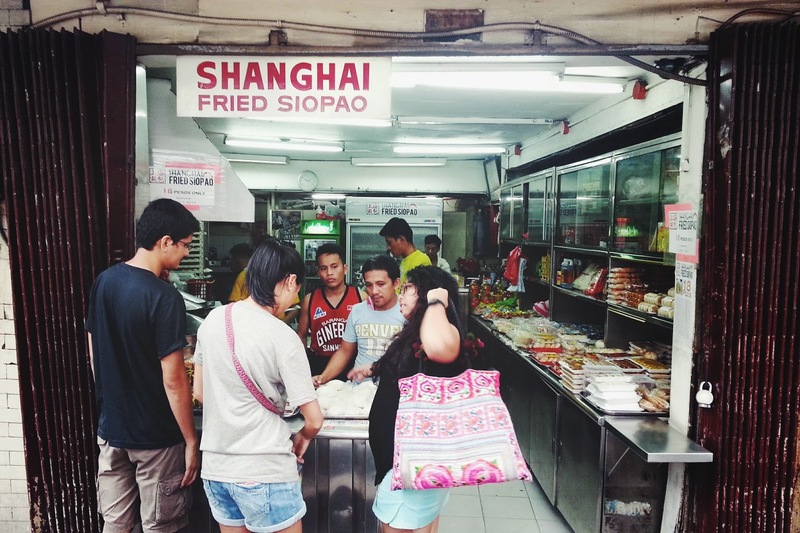 The quest for great siopao continued until we saw this fried siopao stall along Ongpin. I've read great reviews about their trademark golden brown, slightly crispy on the outside bread and wonder why they haven't transformed the place into a proper restaurant yet. 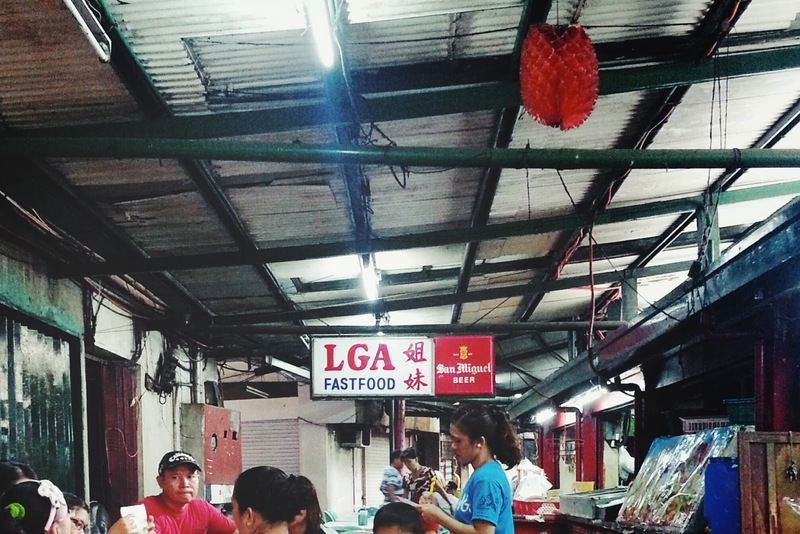 When we got there, a line's already building, further attesting that this place does indeed sell great fried siopao! 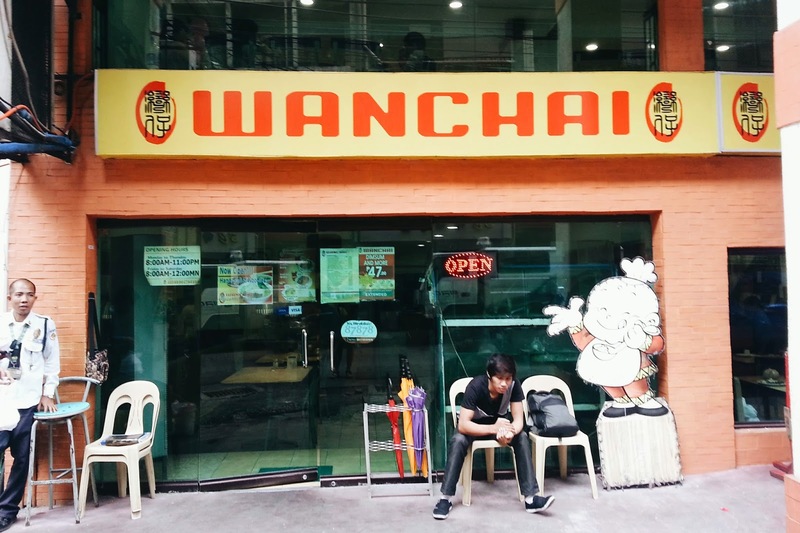 They found the best siopao! They all agreed this is one of the best siopaos they ever had. You definitely get your money's worth (a piece costs PhP 18). Of course, I decided not to purchase one for I am not a fan of this treat and all of them just couldn't wrap their heads around that thought. Hahaha. They asked me to take at least a bite, hoping it will change my mind somehow, but sadly, no. Siopao still doesn't impress me at all. There are times that after a day of stressful work, nothing can make us happier than eating at Estero. Yes, we brave the day traffic just to go here and satisfy our need to stress eat. That's why for our last stop, we decided to bring our friends here at Estero Fast Food. As we all know, estero is a Spanish term which means something like a drainage canal. And yes, it has that bad connotation. True enough, Estero is located right beside the Ongpin North Bridge (now known as the Manila-Beijing Friendship Bridge). Estero is actually the collective term for the group of restaurants located on the side of the bridge. When in Estero, we usually go to the first restaurant, the first door which has a seating room upstairs that's air conditioned. But since it was closed when we visited, we just settled at the open area. We were already a bit full so we just ordered their buttered chicken and fried frog legs. It was my first time trying frog legs, too! Burn kept saying to not order the adobo kind because, well, according to him, it definitely feels like eating a frog. That slick, rubbery feeling in your mouth. Hahaha. Estero's buttered chicken is just soooo good. You must order it when you pay Estero a visit. Must. Must. Must. So how did the fried frog legs fare? As what everyone's saying, definitely tastes like chicken, just with a lot more bones, I guess? It's not so bad! Other recommended things to try are their mooncake and tikoy. After our gastronomic adventure, we roamed the streets of Ongpin some more, looking at some stores that sells charms and other stones, and just walking the maze-like streets of Chinatown. 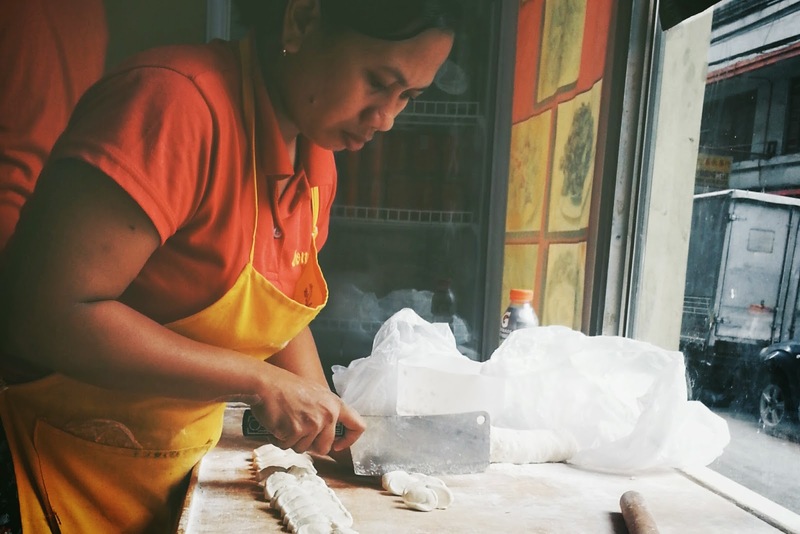 We are certainly smitten by the charm of the chaos and gustatory satisfaction that is brought to us by Binondo. 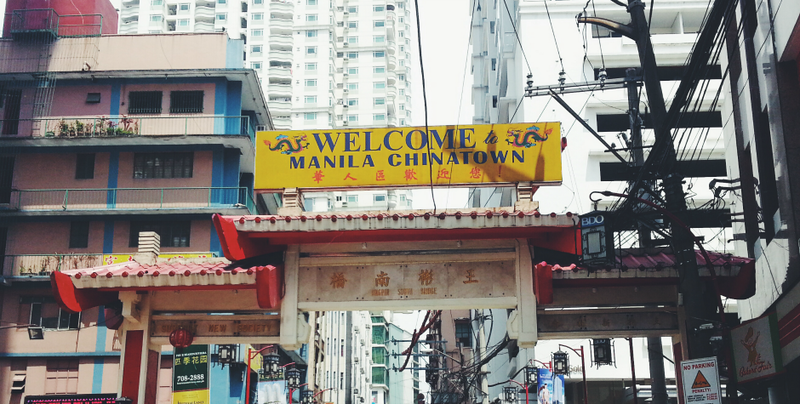 Have you ever been to Binondo? What restaurants can you recommend?